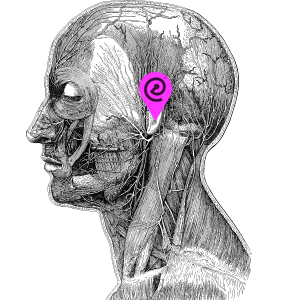 We use our ears for communication, that is obvious, but we also need them to locate sounds and our balance depends on the ears as well. Ears are extremely fragile and you should protect your hearing from exposure to loud music, especially during concerts, festivals & large dance events. Why should you protect your ears? If you protect your ears sufficiently with earplugs that have a proper filter, you can enjoy music for a long time without getting tired. It positively affects your focus and concentration. Besides that, you will experience a better balance between low base and high frequencies in sound. You can hear the music pure and clear, at the same time it keeps speech intelligibility. If you want, you can come closer to the speakers, the detailed sound image will remain. Also, you have less risk in damaging your ears over time. Wear earplugs to enjoy all beautiful sounds longer. With special filters, music sounds good – maybe even better. Your ears will be safe and protected and you won’t get a beep – tinnitus – in your ear after enjoying a good show for a few hours. Wear earplugs to avoid tinnitus or even going deaf! You can make a choice between either 20db or 15db filters. It is important to wear the correct size of earplugs that fit and protect your ears properly. Lots of DJ’s are aware of the importance of their hearing and protect their ears with high quality ear protection. This means they wear custom made or generic earplugs with music filters. A good music filter works the same way as your eardrum, they have a membrane and because of that the music sounds really good. The music filters also protect your ears and attenuate 20db or 15db. One size doesn’t fit all ears! Depending on the size and shape of your ears you need the best fit that gives a proper seal of the ear and guarantees that you are protected. Wear the appropriate size: S/M/L or XL of our earplugs to be well protected. When you insert your earplugs first take them between your thumb and finger. (A) With the opposite hand to your ear, pull your ear out and up. With the other hand gently twist and turn the earplug a bit, then give the earplugs a light push into your ear. (B) Test your earplugs and tap lightly on your earplugs, when you hear a base drum effect your ears are safe! Some shows are suitable for all ages like DJ Hardwell and Martin Garrix. It is amazing that young kids are able to enjoy these shows, but make sure their precious ears are protected in the best possible way! When you teach young children how to play music and read written music, they create connections in the brain that will last for a lifetime. The same goes for teaching your kids how to protect their ears with excellent music filters and earplugs against noise exposure and overpressure on their ears. Once children experience the difference they will wear earplugs more easily and they will embrace the idea of protecting their ears in day-to-day life. Teach your child to protect their ears and let them benefit from all the advantages. If you want to prepare yourself for visiting a concert or festival, you can buy our earplugs in our online shop. Love your ears & don’t forget your Earplugs! Join our journey to save 10 million ears!